A vehicle crosses a bridge over a canal on La Vista Ave next to Bicentennial Blvd. on April 9, 2018, in McAllen. The city is trying to educate the public on two propositions for an upcoming bond election — one being $22 million toward drainage improvements, the other $3 million for traffic improvements. McALLEN — With just two weeks until early voting begins for the city’s two-proposition, $25 million bond election, city officials are making a strong push to inform residents of what’s at stake. City staff are directed not to advocate for or against the two propositions — one being $22 million toward drainage improvements, the other $3 million for traffic improvements — so they are holding five town halls throughout the rest of the month in hopes of informing citizens what the projects include. The first town hall will be held at 5:30 p.m. Tuesday at Town Lake at Fireman’s Park. Commissioners will be present at the meetings, the city said. Early voting for the May 5 election begins April 23 and runs through May 1. 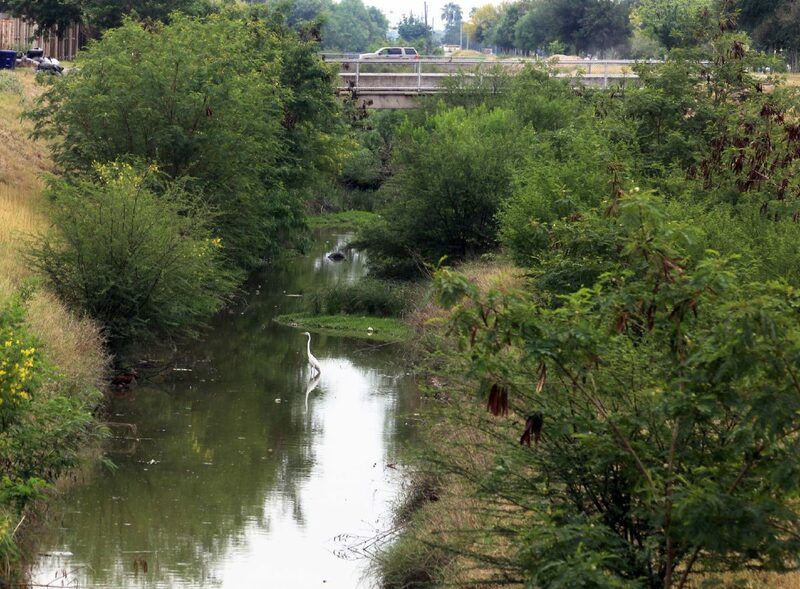 The drainage proposition will go toward 23 projects throughout McAllen as part of a $46 million master plan to improve drainage within the city. The traffic improvement proposition will go toward traffic signal synchronization hardware, fiber and new equipment. In addition to Tuesday’s town hall, there will be a town hall at 5:30 p.m. April 16 at the Palm View Community Center, as well as on April 17 at the McAllen Public Library, April 18 at Lark Community Center and April 26 at the Tres Lagos Community Center. According to a 2015 citizen survey the city conducted, two of the top three areas that residents felt should receive the most emphasis were drainage and the flow of traffic. For additional information, the city is urging residents to visit www.mcallen.net/bond2018.